Inertia – An object at motion tends to stay in motion unless acted upon by an outside force (& vice versa). Force is equal to mass time acceleration. Essentially, the larger an object and the faster the speed increases, the more force it carries. Every action has an equal and opposite reaction. If you exert a force of 60 joules on a box, the box will push back. These laws, created by Isaac Newton, may seem obvious, but they are the key to understanding classical and quantum physics. Another one of Newton’s fundamental laws, this law states that every object with mass attracts every other object with mass. This force of attraction between two particles (or groups of particles) is what we know as gravity. Indeed, it is the gravity of you and the planet that keeps you held to the surface. The strength of gravity depends on the mass and direction of an object. These equations together describe the force felt by a particle with a given charge and velocity. Overall, they are able to describe classical electromagnetic phenomena. The law of thermodynamics relate to the motion of energy in a system. There are 4 major laws, but for now, you only need to know one. The first law of thermodynamics states that energy cannot be created nor destroyed. All of these laws make perfect sense when subjected to classical conditions, but there were a few outliers that didn’t fit with the pattern of these laws. The main one: light. Light seemed to not be made of any particles, yet it sometimes behaves like one. It also always travels at a constant high speed without slowing down. This led to the birth of Quantum Physics. Much of Quantum Mechanics is based off of this fundamental question: what exactly is light? Is it a particle or a wave? The answer, surprisingly, is that it is both. Scientists came to this conclusion after a series of experiments. 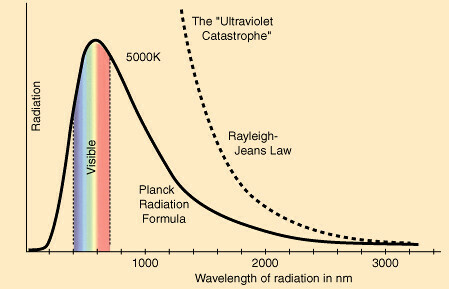 Classical Physics was not able to explain the observed spectrum of thermal radiation – the idea that electromagnetic radiation is emitted from an object based on temperature. According to this, a black body should absorb all of the surrounding radiation. However, in calculations it was discovered that the body actually releases an infinite amount of energy! This directly contradicts the first law of thermodynamics and scientists realized that there was something different about light. The double slit experiment consists in a laser with concentrated light shone through two slits. The light shining through the slits created patterns not expected. If light was a particle, we would see the light shone through the spots, but light instead behaved as waves, creating constructive and destructive patterns. These experiments showed that light could not be described by traditional physics. Max Planck, a German physicist, came up with an assumption that seemed to work. He said that electromagnetic radiation moved in packets called quanta, but also in waves. He stated that energy is equal to the wave frequency times Planck’s constant (a set value). This assumption made more sense and worked to prove the equations true. During the Girls Talk Math camp, we worked together to prove these equations, calculate the paths of waves and observe their interesting properties. The realm of physics gets much stranger when it gets smaller! 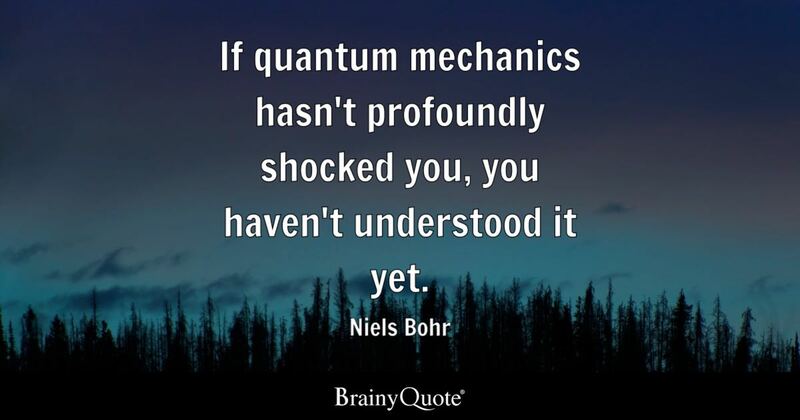 Although we introduced you to the basic world of quantum mechanics, there is so much more to still be discovered. It is arguably one of the most complicated fields of physics, where all traditional rules are wrong. There is much still being added, and so much more to be discovered. Top Picture Credit To: https://wonderopolis.org/wonder/what-is-quantum-physics.